US-2756292 --- Temporary out of stock. 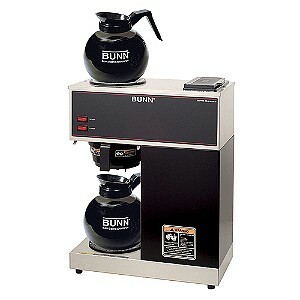 This Bunn Pourover Coffee Maker features stainless steel construction of internal components. Requires no plumbing and is completely portable. All you have to do is just pour cold water in the top and coffee brews immediately.